Understanding the ‘human operator’ is a central concern of both ergonomists and sport and exercise scientists. This cutting-edge collection of international research papers explores the interface between physical, cognitive and occupational ergonomics and sport and exercise science, illuminating our understanding of ‘human factors’ at work and at play. 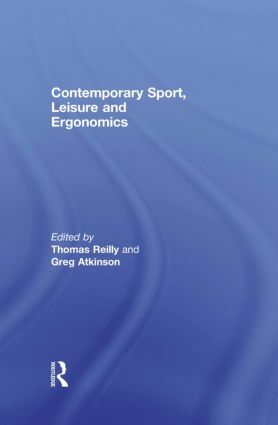 Drawing on a wide diversity of disciplines, including applied anatomy, biomechanics, physiology, engineering, psychology and design, the book explores themes of central importance within contemporary ergonomics and sport and exercise science, such as performance, health, environment, technology and special populations. Contemporary Sport, Leisure and Ergonomics establishes important methodological connections between the disciplines, advancing the research agenda within each. It is essential reading for all serious ergonomists and human scientists. Does completion of an exercise referral scheme affect anthropometric measures and physical activity levels?